March | 2018 | Darth Frank, "The Tank"
What a week in Washington and beyond. Neither Noor [alliteration or repetition coming up? you decide] nor his partner Matthew Harrity had their body cameras running when Noor allegedly shot Damond across Harrity from the patrol car’s passenger seat. Harrity (with whom Noor is now court-ordered not to associate) testified to a grand jury last month. 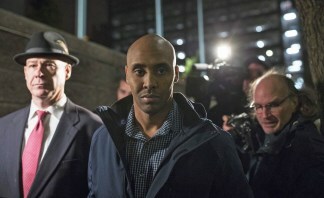 Hennepin County Attorney Mike Freeman blamed stonewalling by the Minneapolis police for the eight-month delay in charging Noor. “This would have been done a good deal quicker if we had gotten cooperation,” he said at a news conference Tuesday after Noor was charged. Noor made $400,000 bail Wednesday after a night in jail. Council for Minnesotans of African Heritage director Justin Terrell opined that the Somali-American Noor’s treatment for shooting a white Australian woman is disproportionately punitive and rooted in racism. 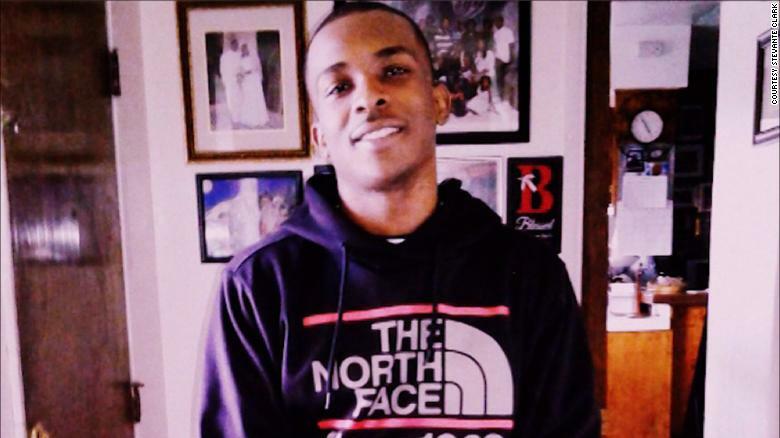 Speaking of which, somewhat lost in the highly-publicized “March for our Lives” this weekend was the Sacramento police slaughter of 22-year-old Stephon Alonzo Clark, who was reportedly breaking windows. The law cornered the father of two in his grandparents’ backyard and delivered 20 rounds of ammunition when they mistook Clark’s cellphone for a gun. There was some disagreement as to whether the officers announced their identities. Because that’s the biggest problem here. Sacramento police guidelines posted on the department’s website do not specify that officers must identify themselves when encountering suspects. Sacramento police spokeswoman Linda Matthew said she did not believe such a policy existed. Jim Pasco, executive director of the National Fraternal Order of Police, said that policies for departments vary across the country, but it would be impractical under such circumstances to expect officers to identify themselves. “If you’re in a chase and everybody’s running, there isn’t a lot of talking back and forth going on,” he said. The video also confirms that law enforcement and first responders waited more than 5 minutes to approach Clark after the shooting. When they did, they put him in handcuffs before performing medical treatment. After several months on the back burner, Trump’s decision to bar transgender Americans from serving in the military has been resurrected, this time with the approval of Defense secretary James “Jim” Mattis. The overpriced Q-tip (below) is prepared to testify to Congress on the evil workings of Cambridge Analytica. The short version: a Facebook app offered users to sign away rights to their personal information (and that of online “friends”) to take a personality quiz. That data was used by Cambridge’s right-wing customers to assist in Trump’s election. However, the social media platform apparently pledged to pull the plug on Graph API and disallow further mass collection from millions of unwitting Americans in April 2015. Oops. 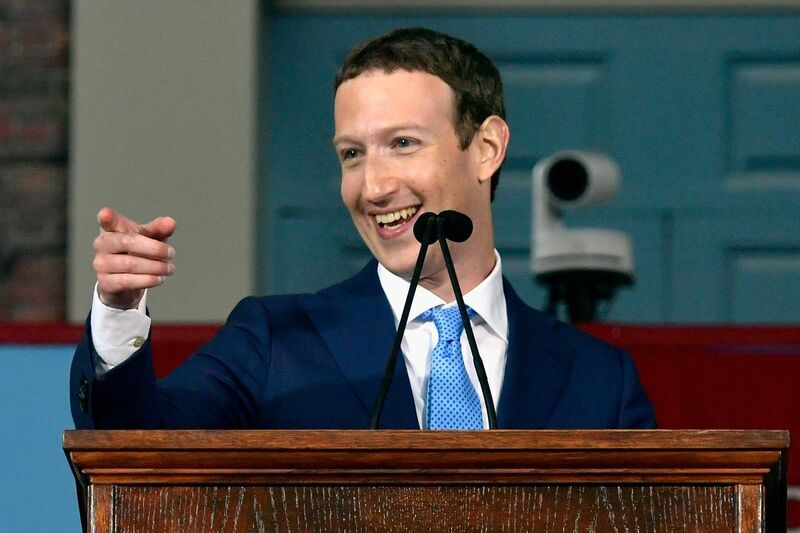 Facebook lost $50 billion over the past week. 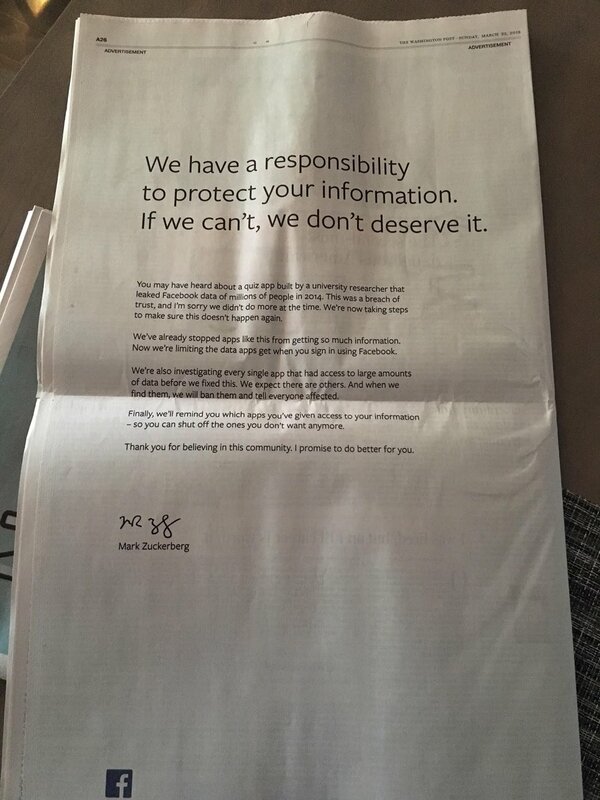 Zucks admitted to selling out the ignorant masses–and finally offered an apology–via a medium long extinct to all but nostalgic elites and non-internet households: print journalism. 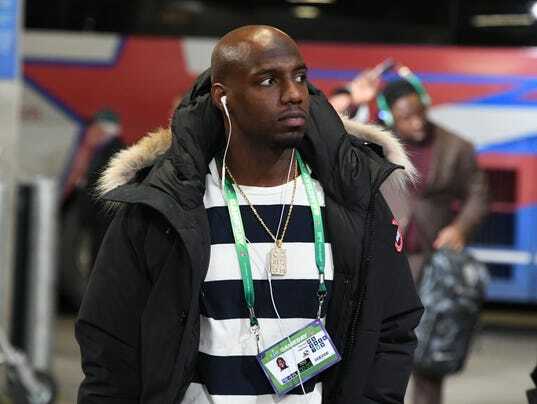 TSA‘s competence was on full display Friday night when Costa Rican customs found 58 grams of marijuana, edibles, pipes and cannabis oil the crack security squad at Fort Lauderdale International Airport apparently missed in New England Patriots safety Duron Harmon‘s luggage. And Congress plowed ahead with its latest spending blitz to meet an appropriations deadline. The damage: $1.3 trillion, which keeps the Feds afloat for six more months. In the Senate, more Democrats than Republicans voted for Mitch McConnell‘s latest pork-stuffed financial condemnation of the country’s younger generations. Notably, McConnell’s fellow Kentuckian Rand Paul (a “no”) allowed the 65-32 vote without a procedural holdup similar to his protest just a few weeks prior (the last time a temporary, last-second spending patch was scraped together by the cancerous Federal installation that ran out of other people’s money over $21,000,000,000,000 ago). Jim Risch (R-ID) (“no”) almost dinged McConnell’s dwindling pride by striking a provision renaming a wildlife refuge after a former political rival of Risch. Priorities. But the House had already passed the bill 256-157 (more “no” votes came from the majority party, just like the Senate), and an unnamed member objected to the modification. On Thursday night Paul live-tweeted his attempt to read the 2,200-page bill, which was provided to both houses of Congress about 48 hours before the funding deadline. He reportedly got through 600 pages. Other reactions included no-voters John Kennedy (R-LA) (“a great dane-sized whiz down the leg of every taxpayer”) and Bob Corker (R-TN) (“one of the most grotesque pieces of legislation I can remember”). Buried in the bill was a $48.8 million increase in the Senate budget. The House upped their budget by $10.9 million. After pleading not guilty to conspiracy and fraud charges in Virginia–necessitating a second ankle bracelet, as he is already on house arrest from Robert Mueller indictments in D.C.–disgraced ex-Trump campaign chair Paul Manafort requested charges for false statements and conspiracy money laundering. His attorneys note these two charges are covered in the ongoing federal case. Manafort has sued the Justice Department for exceeding the scope of the Mueller investigation on collusion with Russia in 2016 by pursuing all possible criminal activity by Manafort under a “blank check” of prosecution. CNN reports Manafort faces a combined maximum sentence of over 300 years, the majority stemming from the Virginia fraud charges. The doors were last replaced about six years into U.S. nation-building in Afghanistan (2007). 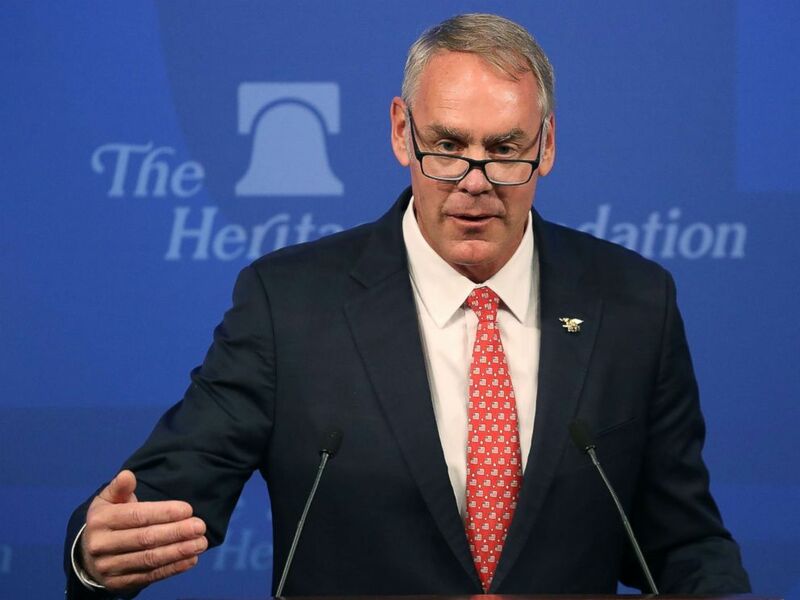 Zinke (above) rode to the rescue (probably not on a charter flight, which he exploits on taxpayer dollars somewhat less frequently than other Trump cabinet members, per ABC News), informing a House committee “we got it down to $75,000” by “manipulating” the contract terms. He did not elaborate. Taxpayer-backed luxurious travel for multimillionaire “public servants” is back in the news, however. Head Treasury thug Steven Mnuchin put in some tough hours on military jets between spring and fall of 2017. His eight known trips–pried from redacted FOIA requests by Citizens for Responsibility and Ethics in Washington–topped $995,000. A source within Treasury who declined to be named told POLITICO that [Mnuchin predecessor Jack] Lew spent $3.25 million on travel expenses in 2016, which, according to the documents obtained by CREW, included 10 international trips using military aircraft, with stops in a combined 25 cities. CREW notes that Mnuchin’s manifest is far stingier than previous secretary’s, however. He does not mix with commoners. 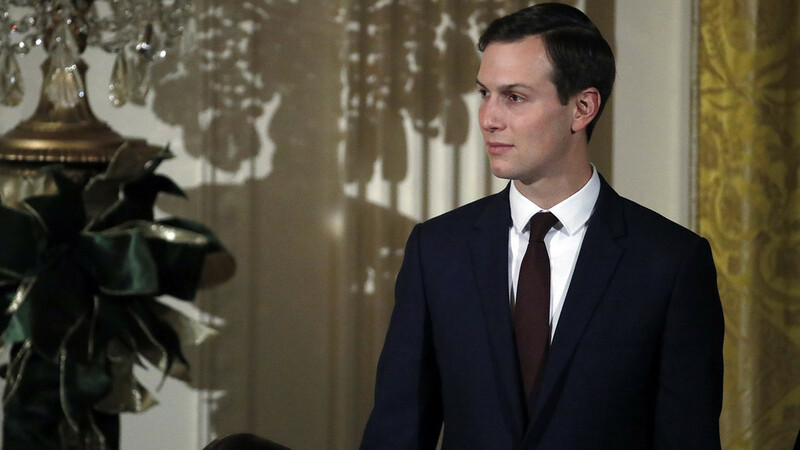 Treasury maintains Mnuchin has been off high-priced military aircraft since a $180,000 journey to the Middle East last October, but will require jet next week for the G-20 summit in Argentina. 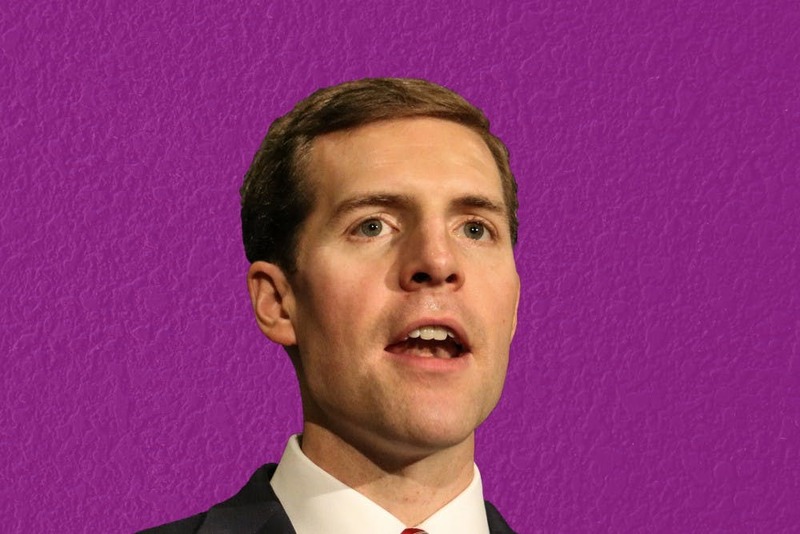 Democrat Conor Lamb‘s (above) upset win in a special election to serve the remainder of 2018 for Pennsylvania’s 18th congressional district (which is redrawn for the midterms), despite two Trump rallies (including the “Maxine Waters has a low I.Q.” performance), had House Republicans worried. The race flowed with evil “outside money.” Although Lamb was boosted by Democratic Congressional Campaign Committee and End Citizens United, the bigger story seemed to be Saccone’s $10 million backing from national Republicans. Libertarian candidate Drew Miller (above) scored about 0.6% of the vote, or double the margin between Lamb and Saccone, after raising $2,000. 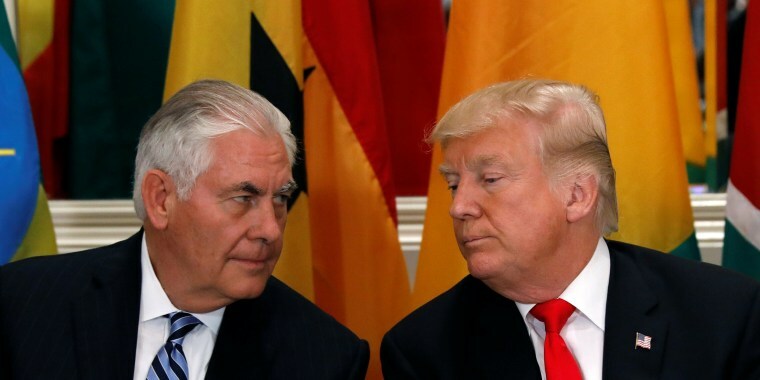 Trump ousted secretary of state Rex Tillerson (below, left) and appointed CIA director Mike Pompeo (below that) in his stead. Tillerson’s deputy Steve Goldstein (below) was also fired. 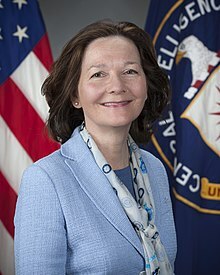 Current CIA deputy director Gina Haspel is nominated to take Pompeo’s place. 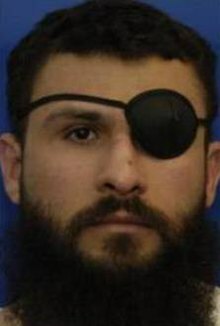 There were reports (now retracted) that Haspel directed the 2002 waterboarding of Abu Zubaydah (below) at a CIA black site in Thailand. She did oversee Abd al-Rahim al-Nashiri‘s (below) waterboarding later that year and order destruction of the tapes of Zubaydah’s torture. Both men are currently held without charges at Guantanamo Bay. Senator Rand Paul will filibuster both Haspel and Pompeo’s nominations. The president wasn’t done. FBI deputy director Andrew McCabe (below), who has been on “terminal leave” since January (using accrued days off to make it until a planned retirement in March), was fired by Attorney General Jeff Sessions on Friday, less than two days before he would have qualified for a pension, for allegedly not cooperating with an Inspector General. Apparently, Trump is still sour at McCabe’s involvement in the Hillary Secret Server probe that ended without charges for the former secretary of state. That announcement came from recently-fired FBI chief James Comey. There were reports that current FBI head Christopher Wray refused Sessions’ request to fire McCabe back in January. The National Debt closed at over $21,000,000,000,000 on Thursday. Additionally, within the next decade, interest alone on the debt is projected to top $1 trillion annually–about triple the take of corporate tax in f.y. 2017 (or about 2/3 of the total confiscated in income tax). Unconcerned Republicans now intend to make permanent some of their newly-enacted cuts to individual tax rates, which currently expire in 2025. The accompanying corporate tax cuts are already permanent, because priorities. In more local news, Seaside, California teacher, city council member and reserve police officer Dennis Alexander shot up the ceiling and injured three students while leading a firearms safety demonstration. He is now on leave from the police and school positions. A Glock 21, semi-automatic .45 caliber service pistol was used in the demonstration. The Seaside High School website lists Anderson as an educator in the career and technical department responsible for introductory classes on fire and police, as well as public safety. Although Alexander had taught the class in the past, the weapon itself was apparently banned from school premises. Maybe police get special privileges. Housing and Urban Development secretary Ben Carson feverishly tried to cancel a December order of $31,561 in mahogany dining room furniture for his office. Because the U.S. is on financially sound footing, HUD pumped $1,100 into repairing the existing LBJ-era chairs before ordering the good stuff (each new chair cost about $1,000). New blinds for Carson’s office cost $3,400. Carson blamed his wife, Candy, for the expensive decisions. 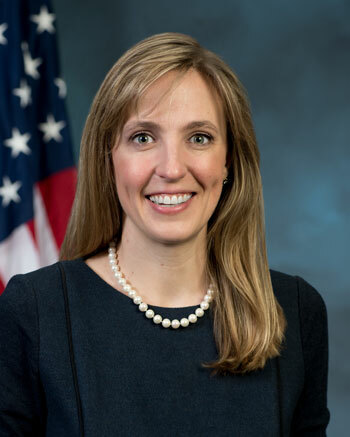 Meanwhile, senior HUD official Helen Foster, a Treasury employee from the Obama administration who warned Carson of the $5,000 limit on redecorating offices, was reassigned as HUD’s chief FOIA officer last October. During the Trump transition, acting HUD secretary Craig Clemmensen advised Foster that past administrations “found ways around” the limit. It appears that in her new assignment as FOIA chief, Clemmensen told Foster to circumvent required procedure for two FOIA requests, citing Maren Kasper (below) of the transition team. Foster was also discouraged from reporting the department’s $10.8 million deficit from 2016 and instructed by Carson to fund a new security system for his Virginia residence (he eventually withdrew the request). According to ABC, [t]he Trump administration’s proposed budget recommends an 18 percent decrease in funding for HUD, including a decrease in funds intended to help low income individuals pay their rent. The agency’s proposed budget for fiscal year 2019 is over $41,000,000,000 according to their website. D.C. “streetcars”: do they not have enough Congresspeople’s children driving for Lyft while illegally sporting official tags? The dirty district has fielded a fleet of free rides for the public since 2016 (it was initially supposed to launch in 2009), but needs to replace all the cars–at a cost of at least $25 million–starting in 2021. The existing $200,000,000 vanity project cannot repair its existing cars, because the only spare parts manufacturer is in another country. Therefore, repair parts “will likely require reverse engineering” according to D.C.’s department of transportation. The 2.4-mile route runs exactly parallel to an existing bus route. Another eight miles to Georgetown is planned, projected to cost $400 million. If economic development rather than moving people around were the only metric for the streetcar’s success, it would be viewed as an unequivocal triumph. Between June of 2010 and January 2018, the median home value in the Near Northeast neighborhood, which encompasses a significant part of the line, jumped from $441,000 to $705,000, according to Zillow, an increase 10 percent greater than the District overall during that period. Massive new apartment buildings and condos have significantly boosted the density of the neighborhood in recent years. The Supreme Court ruled 5-3 in Jennings v. Rodriguez that immigrants, whether illegal or permanent legal residents, are not entitled to periodic bond hearings and may be detained indefinitely. Elena Kagan recused herself. Obama reportedly did not like the Ninth Circuit Court of Appeal’s verdict that detained immigrants and asylum seekers are entitled to bond hearings every six months, and kicked the case to the Supreme Court. Trump adviser Carl Icahn sold over $31 million in Manitowoc Company Inc. stock seven days prior to the president’s inane announcement that American steel imports will suffer a 24% tariff. Manitowoc, which makes cranes, lost about $8 per share following the tariff announcement. Icahn had unloaded nearly 1 million shares. 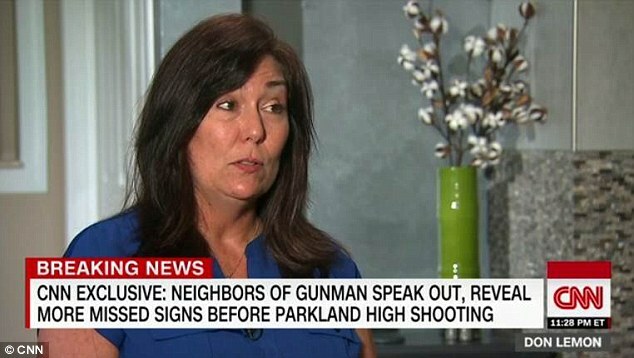 The Florida high school massacre on February 14 continues to fuel our betters in the media. Delta Airlines made perhaps the biggest splash–not in one of their routine emergency landings, but by ending their discount program for National Rifle Association members traveling to the lobby’s annual convention. USA Today noted that just 13 passengers ever used the discount, (estimated at about 10% off ticket price). That didn’t stop the Georgia legislature from ripping a jet fuel tax break from its tax legislation–an estimated loss of $40 million for the shoddy Atlanta-based airline, whose breakup with NRA was perceived as an affront to the 2nd Constitutional amendment. 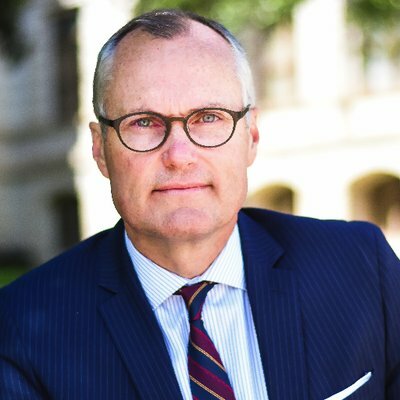 Proponents of the retaliatory move included Republican Lieutenant Governor Casey Cagle (below), who is running to succeed his boss Nathan Deal. According to Reuters, Delta is “review[ing] [the] end [of] group discounts for any group of a politically divisive nature.” CEO Ed Bastian insists “our values are not for sale” and insinuated legislature members first threatened the airline with nixing the tax break to get them to reinstate the NRArrangement. Delta’s even more overpriced rival United Airlines also ended its NRA convention discount. Meanwhile, FedEx announced it would retain its 26% shipping discount for NRA Business Alliance members. ThinkProgress reported what they characterize as “rule bending”: “Some [FedEx] customers have been approved for an exception to ship firearms with a 2-day (AM or PM) service,” a confidential internal document revealed. Apparently, the decrepit United States Postal Service will rarely ship firearms at all, leaving most of the market to UPS and FedEx. While the latter two private companies require overnight shipping on all firearms, FedEx reportedly saves self-defense (or child assault?) enthusiasts some coin…by allowing them to wait an additional day for their weapon. 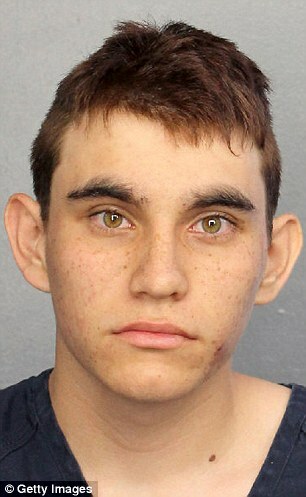 The massacre allegedly perpetrated by Nikolas Cruz, 19 (above), at his former Marjory Stoneman Douglas High School in Parkland, FL left 17 dead. The fallout continues, from a math teacher accused of locking his students out of the classroom to public flailing of the Broward County Sheriff’s Office and the FBI . 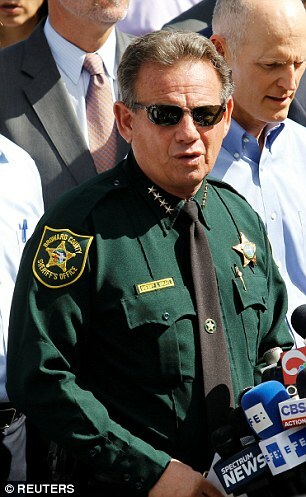 Sheriff Scott Israel (below) is especially [TRIGGER WARNING FOR TRIGGER WARNING] [TRIGGER WARNING] under fire for the 45 police visits to Cruz’ adoptive mother’s house over the past 10 years. ‘Since 2008, BSO responded to 23 incidents where previous contact was made with the killer or his family. STOP REPORTING 39; IT’S SIMPLY NOT TRUE,’ a statement from the sheriff’s office said on Saturday. CNN obtained the figure of 45 police visits. Cruz reportedly threw a rock at Guarino’s own son several years ago and dissected toads on her lawn. Lynda Cruz died in November of pneumonia. The […] woman identified Cruz by his full name, his age and where he lived […] then frantically warned about his mental instability, his arsenal of firearms, his posting of assault rifles on social media, his threats to kill himself and other people, and that “he’s so into ISIS,” the notorious Middle East terrorist group. But the Feds have everything under control now. While Congress waffles on “background checks” and “raising the age to purchase assault weapons” to prevent the few high-profile American mass killings among 15,000-plus murders annually, Pasadena, CA police officer Vasken Gourdikian, 48, is taking matters into his own hands. The 24-year peace-keeping veteran pleaded not guilty to four felony counts from a grand jury who allege he illegally moved over 100 firearms in the past 3 years for profit. His special privileges as a police officer included buying more than one handgun every 30 days, skipping the 10-day mandatory waiting period, and access to “off-roster” weapons not available to other civilians. He has been on paid leave for the past year. Mammoth Energy Services (through its parent Cobra) picked up another $500 million in work for rebuilding Puerto Rico’s power grid, bringing its total contract to $945 million. Mammoth can now purchase its own supplies instead of relying on PREPA third party contractors and the U.S. Army Corps of Engineers.